There is so much information out there when it comes to Pregnancy and Babies and much of it is very conflicting. Listed below are links and information sources I recommend, you can also purchase some of these in The Raw Food Mum’s Store. Extensive introduction on why raw food for kids. From muesli bars and lettuce boats to perfect party treats, this is food that’s yummy and good for any size tummy. 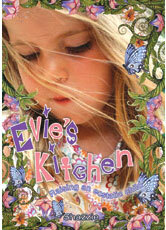 Shazzie, the UK’s most famous raw foodist, wrote this book with a mother’s love for her daughter. She researched the content for four years with the passion that only a mother would feel about this topic. Painstakingly recording her daughter’s food intake, staying on top of the lastest finds in the world of raw and vegan foods, researching supplements, and finding answers when people told her she had no reason to search for answers: Shazzie goes beyond a typical nutritionist giving stats. The typical Australia/American diet is a major factor in the epidemic of obesity and poor health in the country’s children. 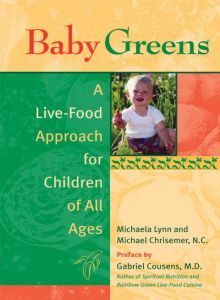 Baby Greens helps parents establish healthy eating habits in their children—and themselves—through a diet rich in raw foods. A lively mix of education, philosophy, recipes, and activities, the book adapts the living foods approach for all ages and lifestyles. The first part of the book explains the principles of bioenergetic nutrition and shows how cutting-edge nutritional practices—including nutritional individuality, pH balance, terrain testing, and homeopathy—can dramatically improve a child’s health. 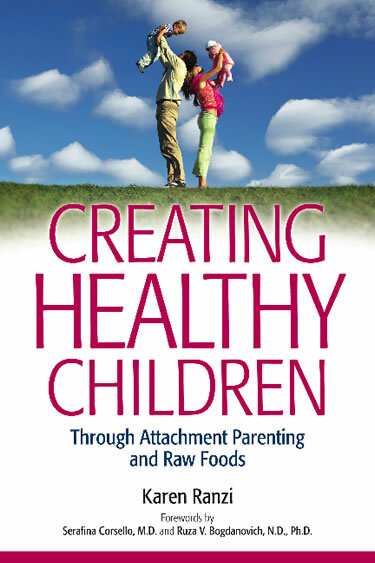 In addition to recipes and resources, the second part offers insights into the holistic approach to pregnancy, breastfeeding, extended breastfeeding, weaning, food experimentation, play, and other daily activities. Written in reassuring, easy to understand language, Baby Greens empowers parents to step outside the fast food box and take a proactive approach to maintaining their family’s health and well-being. 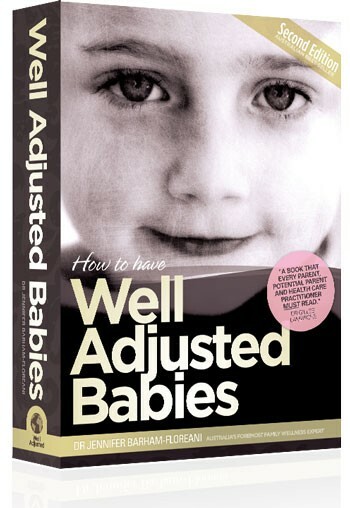 This Australian Best-Seller offers the most unique collation of cutting-edge information and knowledge on holistic parenting — all in the one book! It has the most comprehensive list of reasons why food should be introduced in a childs diet. This is one of the best books out there I highly recommend this book. This book is not just for those with food allergies. It is for those of us who choose to eat healthily, perhaps to lose or maintain weight and for those who want to care for their bodies, starting from the inside. Each and every recipe in this book is Gluten, Dairy and Preservative free. Pathways is the only family parent magazine I subscribe to it is a quarterly print and digital magazine whose non-profit mission is to support you and your family’s quest for wellness. Pathways to Family Wellness collaborates with consciousness leaders, cutting-edge scientists and researchers, families on their conscious path, holistic practitioners and dynamic nonprofit organizations to bring the most current insights into one very informative magazine. Eating without Heating by Sergei and Valya Boutenko – raw recipe book from the Boutenko ‘kids’. Raw Living and Eat Smart, Eat Raw – both by Kate Magic, these raw recipe books are packed with practical recipes Kate used to raise her three boys. Pear Magazine – this an online raw food magazine, which often has articles about raw children or written by raw parents.